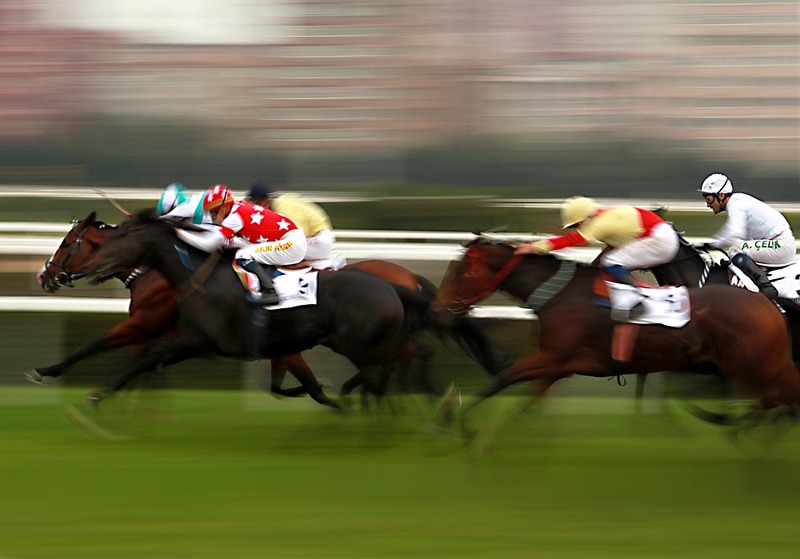 Horse racing is one of the oldest recorded sports, with origins that date back to around 4,500 BC. The nomadic people in Central Asia were the first humans to domesticate horses, and in turn began to race them for sport. The Ancient Greek Olympics included both mounted horse racing and chariot racing, with the popularity of these sports in the Roman Empire also being very high. Modern horse racing dates back to 12th Century England, with the nobility wagering on which horse would be the fastest. The English upper classes have continued to have a close involvement in the sport, with Queen Elizabeth II having some of her own horses that enter competitions. Ascot Racecourse in the English county of Berkshire has close connections to the British Royal Family. The facility runs 26 days of horse racing each year, with both flat and jump racing included in this. Royal Ascot is the most prestigious of these 26 events, and has been held there since 1711. Queen Elizabeth II continues to attend each year, joined by other members of the Royal Family as she arrives in a horse-drawn carriage as part of a Royal procession at the start of each day. The event is covered across the British press, with much of the focus on who attends the event and what they are wearing, far more so than the actual racing. Running since 1929, the Canterbury Stakes is an event held for thoroughbred horses that are at least 3 years of age. It was originally held at Canterbury Park Racecourse, which the event is named after, however it was moved to Randwick Racecourse from 2014 onwards. With only 8 starters, Oddschecker describes the 2019 Canterbury Stakes as an “intriguing and tactical”. The Grand National, held at Aintree Racecourse in Liverpool, is another famous British horse race taking the form of a steeplechase. First run in 1839, it has a distance of nearly 7 kilometres with 30 fences for the horses to jump. The Grand National has the largest prize fun in European jump racing, with the 2017 race topping £1 million. The event is a major event in British culture, even amongst those that don’t normally follow the sport, with workplaces, social groups and families running informal sweepstakes in the week leading up to the event. It is also one of the busiest events of the year for bookmakers. The event is also widely reported in the British press, with focus more on the attire of female guests than the horses. The annual Kentucky Derby is held in Louisville, Kentucky that was first held in 1875. The event is often called the “Run for the Roses” in recognition of the winning horse being draped in roses. It is the largest horse race in the world, with wagering taking place at the Churchill Downs racetrack and at other venues around the world, as well as online. Between the 158,000-strong crowd and those using the internet, around $200 million is spent wagering on the races on the day of the Kentucky Derby. The Prix de l’Arc de Triomphe is a flat horse race that is held at Longchamp Racecourse in Paris. It usually takes place on the first Sunday of October, and is held annually. It is considered the most prestigious horse race in Europe and therefore attracts many acclaimed horses. The race was first held in 1920, relatively late in comparison to the others in Europe and the US, and spans 2.4 kilometers. Initially, horse racing in France was open only to thoroughbreds that had been born and bred in the country, but the Grand Prix format was opened up to horses from other countries. There are many prestigious horse races around the world, each attracting royalty and the elites. They remain events where it is expected guests dress smartly, and it is widely accepted that this adds to the experience. Events are often overshadowed by the clothing choices of its guests, particularly in the UK.